The Zulus were a proud African tribe that rose to prominence in Southern Africa at the beginning of the Nineteenth Century under the leadership of Shaka. It was Shaka who modernised and militarised the society and allowed it to dominate the other local African tribes. By 1825 he had conquered a huge empire covering a vast area from the sea in the east to the Drakensberg mountains in the west, and from the Pongola River in the north to the Bashee river in the south. Shaka's first contact with Europeans was supposedly when a small force of 25 men under British Lieutenant F. G. Farewell arrived from the Cape Colony to establish a settlement on the northern shore of the Bay of Natal. The budding settlement was able to stay on the good side of the powerful Zulu chief Shaka when they were able to administer medical aid to the chief after he'd been injured in a battle. As a token of gratitude, he granted the tiny settlment a "25-mile strip of coast a hundred miles in depth." However their next meeting with Europeans was not going to be so harmonious. Boers on their Great Trek moved into Natal and expelled the small British settlement there. The Boers had little respect for Africans as anything other than their slaves and servants. They clashed repeatedly with the Zulus over cattle and grazing lands. Becoming exasperated at the actions of the Boers, the Zulus murdered the Boer leader Piet Retief and 70 of his followers. This led the Boers to seek their revenge at the battle of Blood River where superiour Boer armaments proved decisive. The Zulus and Boers continued to clash in small scale skrimishes. The Boers in their isolated farms made for relatively easy picking and their cattle could not be guarded all the time. The Boers in return would not hesitate to claim any Zulu cattle they came across. It was only with the return of the British in 1843 to keep the peace and reclaim the area that the Boers moved on to the north and left Natal at least in peace. The relieved Zulu chief Mpande signs a treaty with the British ceding the area south of the Tegela River in return for being left in peace. The next three decades were fairly peaceful, at least with the British. The Boers who were now on their northern border were still a constant source of conflict. However, the peace between the British and the Zulus would come to an end with the policies of Sir Theophilus Shepstone and Sir Bartle Frere. 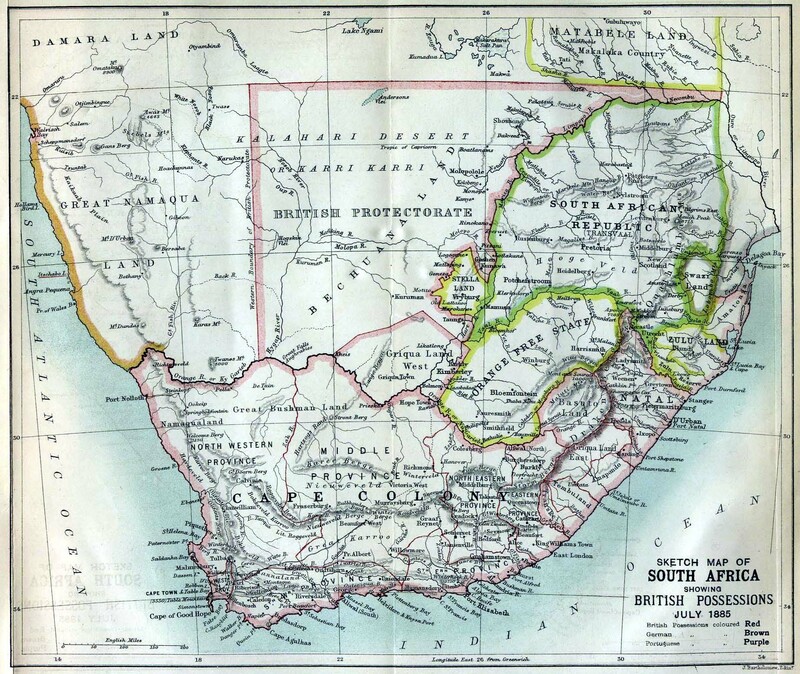 They were both concerned that Federation for South Africa, along the lines of Canadian Federation in 1867, was being delayed due to the hostile frontiers. And, as the Zulus represented the most fearsome of these border tribes if their threat could be eliminated, political union or federation of some kind might then be allowed to proceed. The Zulus had been rightfully complaining about Boer encroachments into their lands from the Transvaal. A British boundary commission actually found in favour of the Zulus. However the Cape High Commissioner Sir Bartle Frere decided to use this as the excuse to reduce the Zulu military threat. 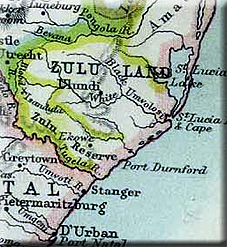 He said that the disputed land would only be returned if the Zulu army was disbanded. This was too harsh a term for the proudly militaristic Zulu and they ignored the provocative ultimatum. The British invasion in 1879 from Natal was poorly conceived. The British force was split and the Zulus fell on the main column at Isandlwana with devastating results. The poor deployment and over confidence of the British meant that the Natal Colony was virtually undefended. A Zulu Impi did cross the Limpopo River and attacked a British outpost at Rorke's Drift. However, despite the brave defence, this Impi had actually overstepped its orders. Chief Cetsawayo had wisely advised his warriors to fight a defensive war within the borders of Zululand only. They never had any intention of invading any of the surrounding European colonies but that did not stop the British from being deeply concerned at their security. The British had to respond by sending out an even larger regular army expedition at great expense that defeated the Zulus at the battle of Ulundi. The mighty Zulu war machine had finally been curbed but only at a huge cost to the British. Ironically it would do little to help bind the Boers to the British as without the threat of the Zulus, the Boers felt emboldened enough to reclaim their independence from the British. After the defeat the British operated a policy of divide and rule to further ensure no resurrection of a centralised Zulu army. The former kingdom was divided into districts, each of which had its own chief. One of the chiefs was actually a white man (John Dunn) who had a dozen or more Zulu wives. Several of the others were leaders of anti-royalist factions. The royal house was completely unrecognised. The result was endemic civil war until Britain finally annexed Zululand in 1887. The area was then administered as a separate colony until, in 1897, it was merged with Natal. The Natal government had long desired to have access to Zulu lands but this was also a period in a larger phase of an expansionist British policy in Southern Africa. Thanks to the discovery of huge quantities of gold in Transvaal, British administrators were seeking ways of pushing their control over the entire area. 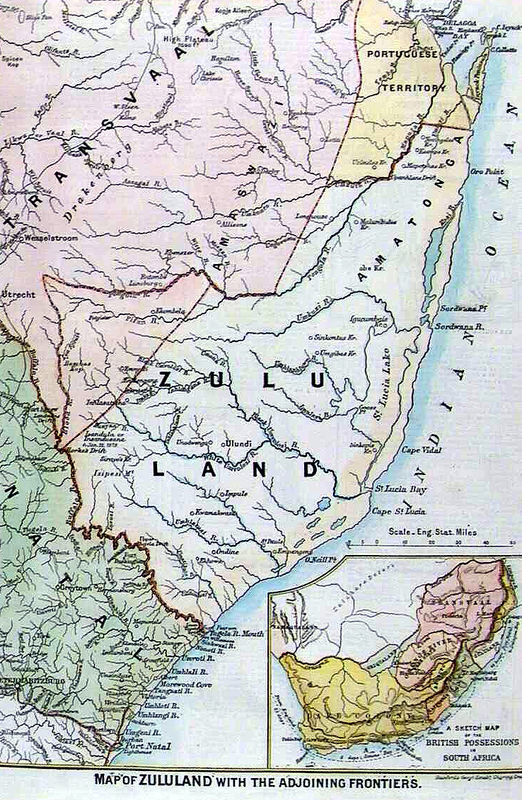 The formal annexation of Zululand in 1897 was in many ways a precursor to the events that would lead to the Boer War in just two years time and eventual Union in 1910.